The imposing cylindrical drum design of the 3 light pendant makes it a focal point in larger spaces and cosier rooms - finding inspiration from patterns of nature. Etched pale glass sits within the shattered nest of strands finished in Silver Leaf. In the 4 light pendant, a cylinder of linear Silver Leaf encases 4 elegant etched glasses in white. Open and airy, this eye-catching nature-inspired design adds modern organic elegance to your room setting. Matching wall lights and chandelier available. 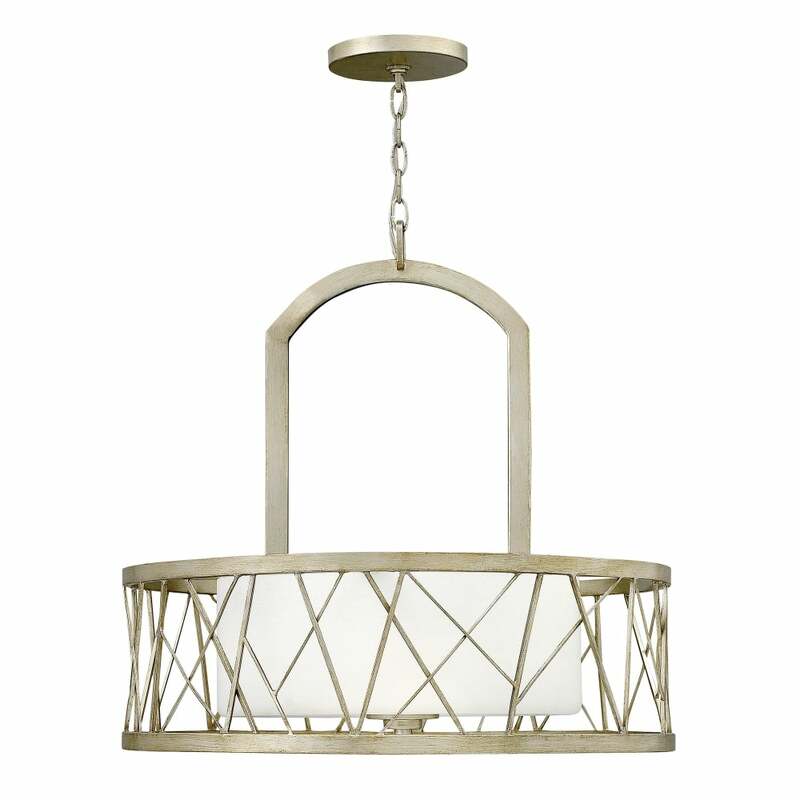 Chandelier, ceiling pendant and semi-flush designs available with wall light accompaniments. View All Hinkley Lighting for more information on Nest or view the complete Nest Collection.